Bad Credit? No Credit? Bankruptcy, Repossessions, or Loan Defaults in your past? 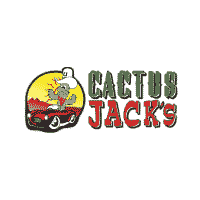 At Cactus Jack’s we offer Buy Here Pay Here financing for unique credit situations in Phoenix & Mesa. We can get you into a reliable vehicle at an affordable price, regardless of your credit. Our Buy Here Pay Here loans are short-term with affordable down payments, as low as $499. Cactus Jack's Auto Buy Here Pay Here loans put you on the road to better credit with our No Credit Auto Loans! Finance with Cactus Jack's Auto, we will report your payments to a major credit bureau, allowing you to build your credit score while you drive away in a new vehicle. We know that many of our customers have been denied or ignored by traditional financial institutions. Cactus Jack's Auto Buy Here, Pay Here program in Phoenix is the quickest, most flexible way to provide the auto financing you need, when and where you need it. Apply online for a car loan with our online finance application form. It’s convenient, secure, and in as little as 2 minutes you could be approved! If you have any questions, reach out to our staff or check out our Cactus Jack’s FAQ.